THIS IS A NORMAL SPOT FOR THESE BUNTING'S TO COME DOWN FROM THE NORTH EVERY YEAR TO SPEND THE WINTER SEASON WITH US (BETWEEN 50 TO 75 ) AND MAY I ADD THAT THEY ARE FUN TO SHOT. A gorgeous shot, wondering if the whites are a bit hot but no matter, it's great as is! Peter, Agree about the simplicity of the image--this is excellent. On my monitor, the whites look a bit hot. 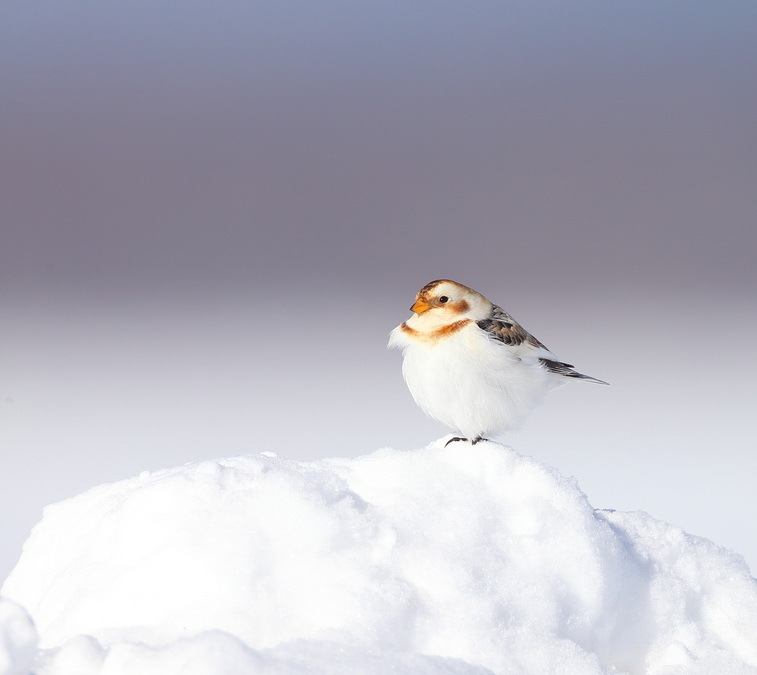 Such lovely little birds that brighten up the winter snows. A lovely capture, Peter! Perfect setting for this beauty- lives up to it's name. . I like seeing this single bird -usually see them in big flocks. Very sweet image of this beautiful bird.